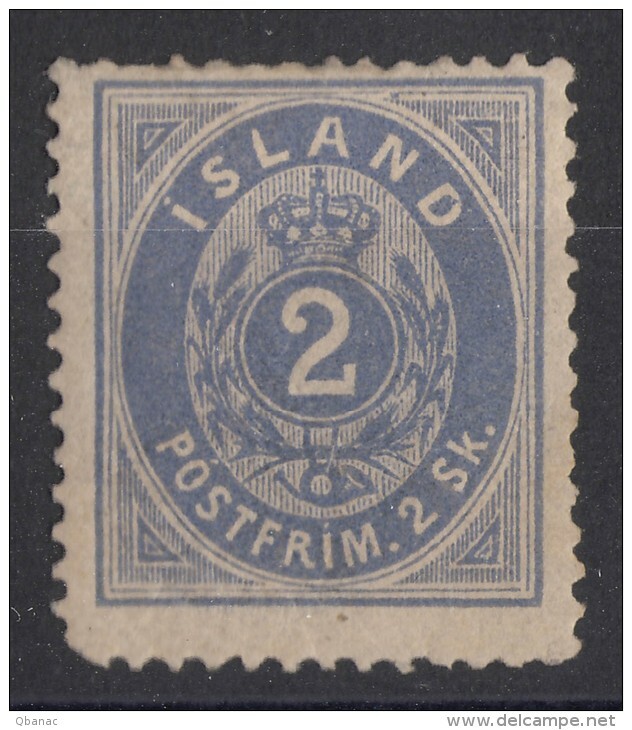 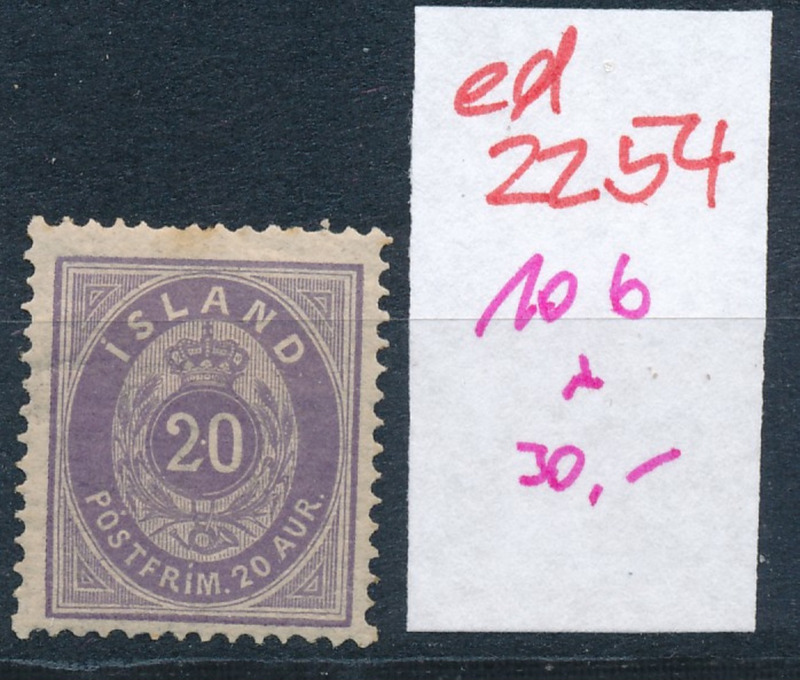 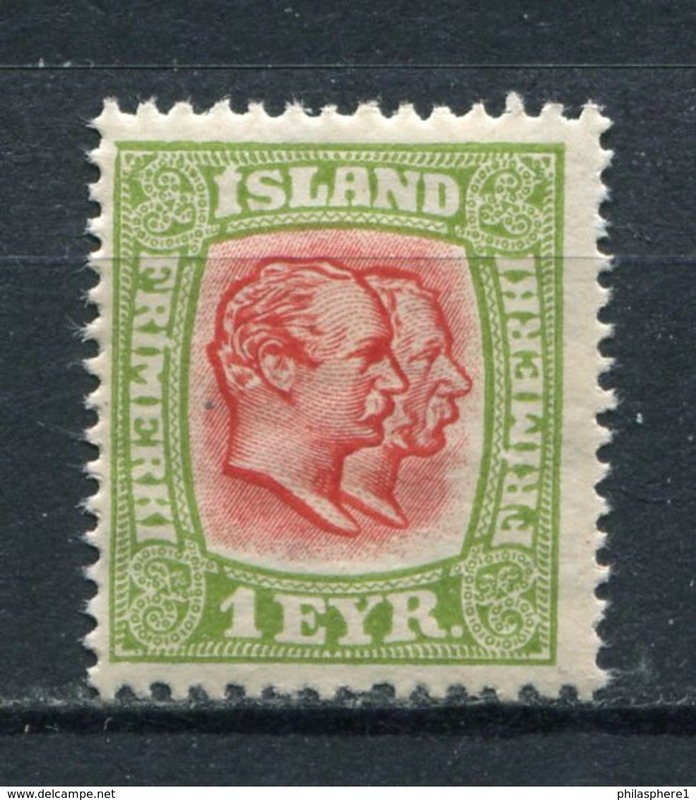 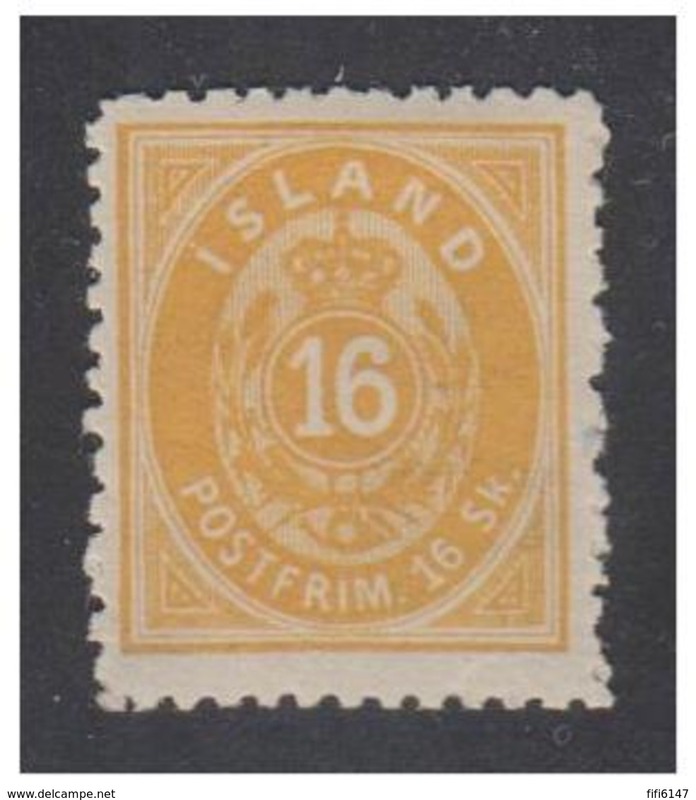 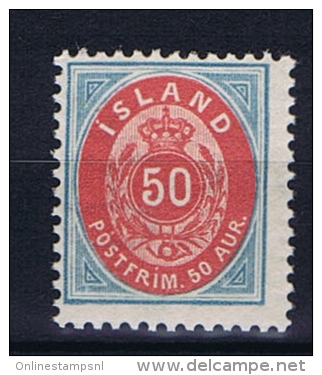 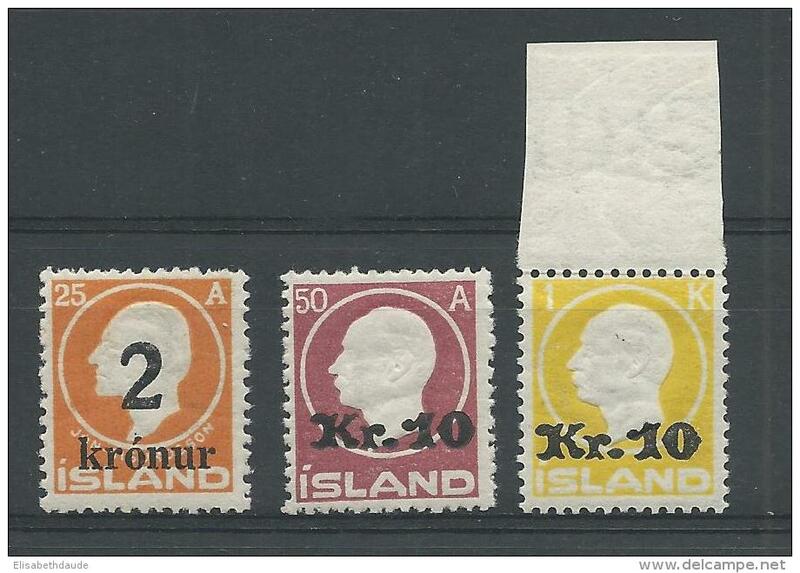 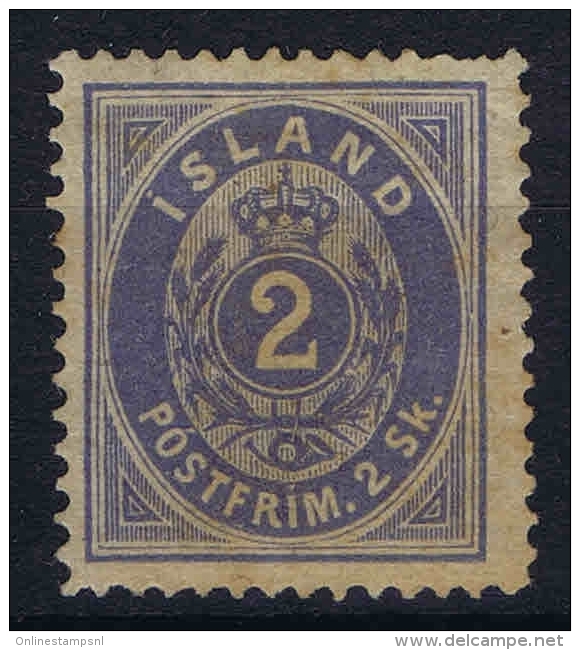 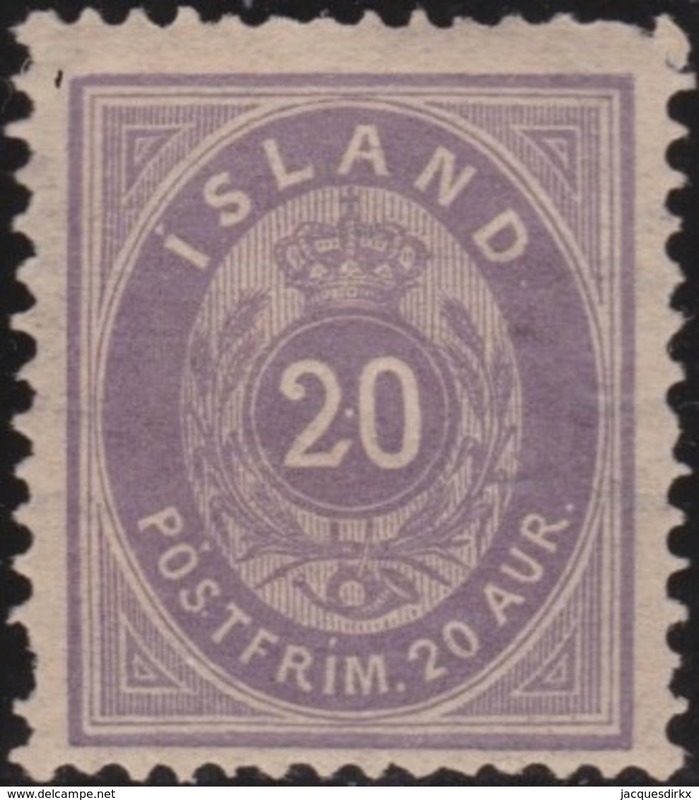 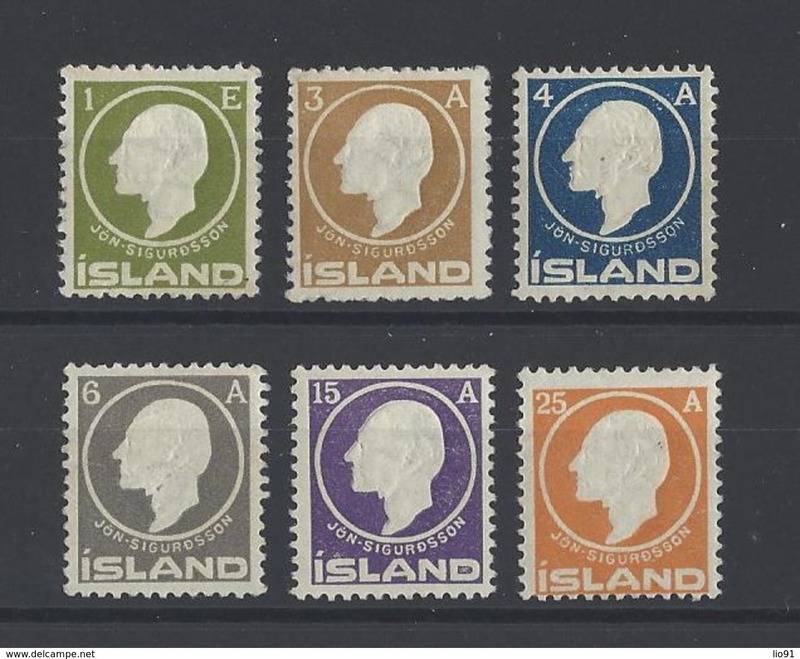 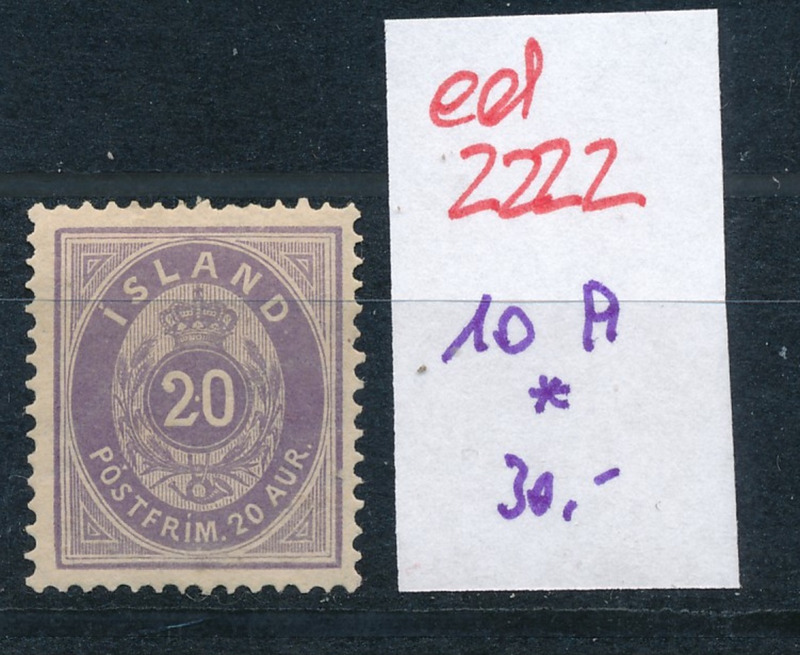 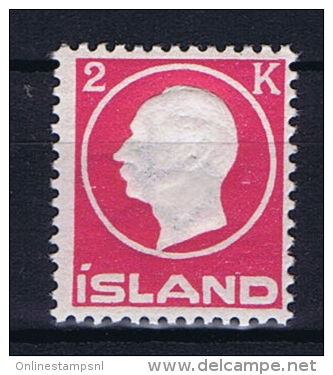 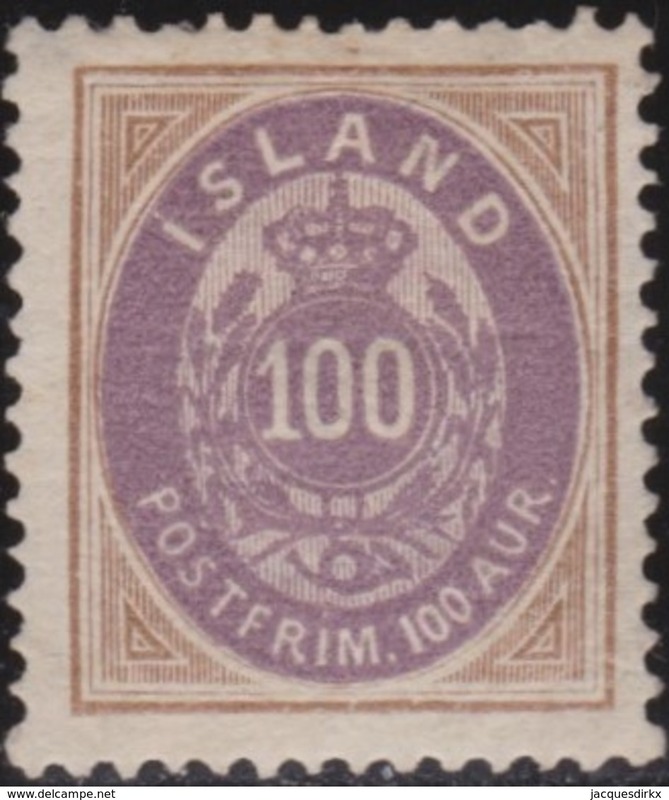 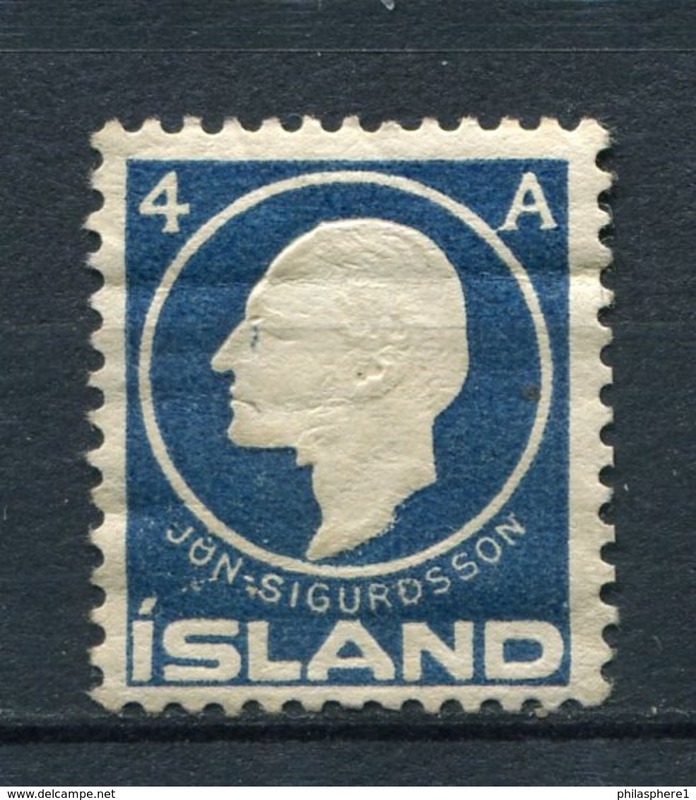 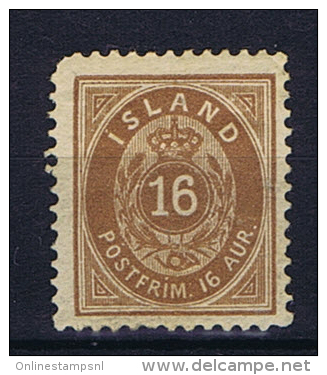 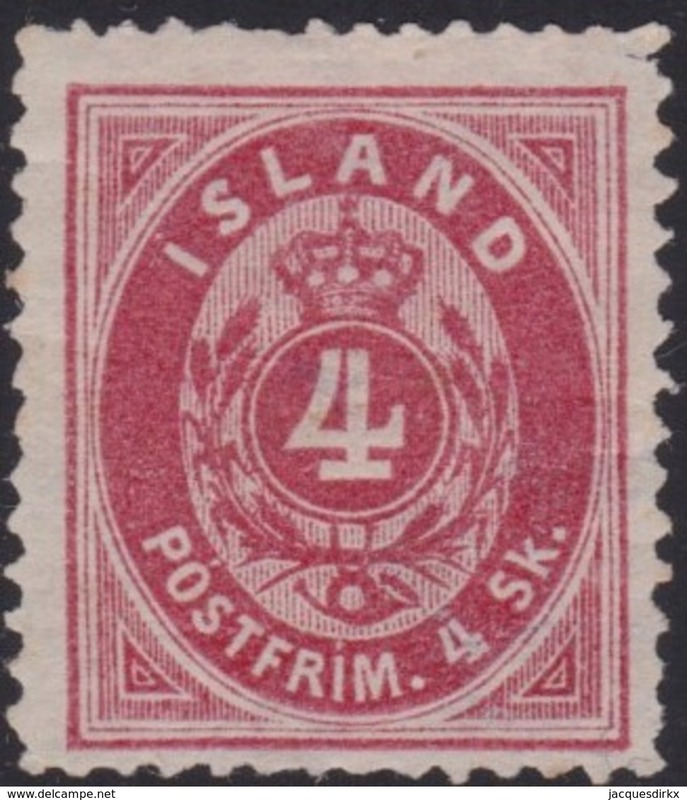 ISLANDE ( POSTE ) : Y&T N° 12 B TIMBRE NEUF SANS GOMME , A VOIR . 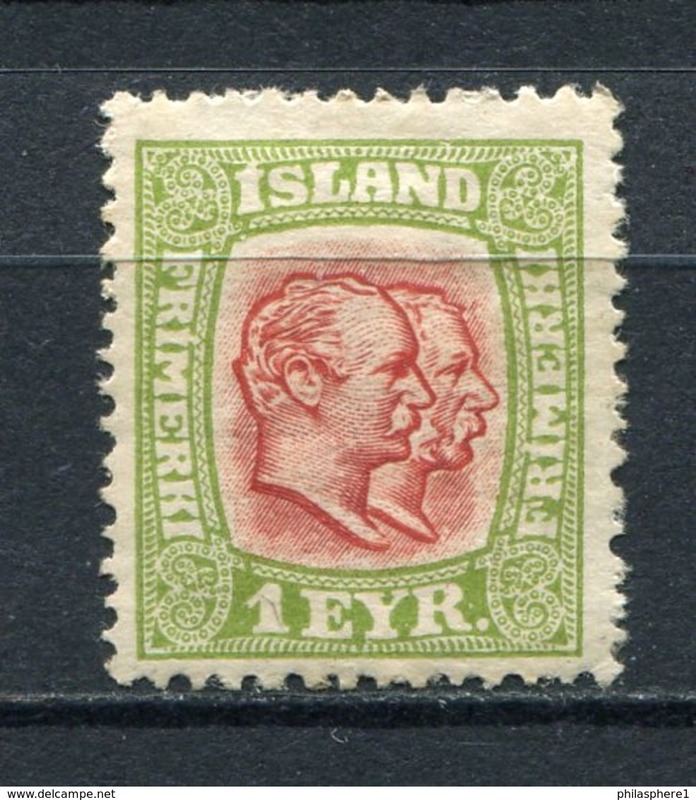 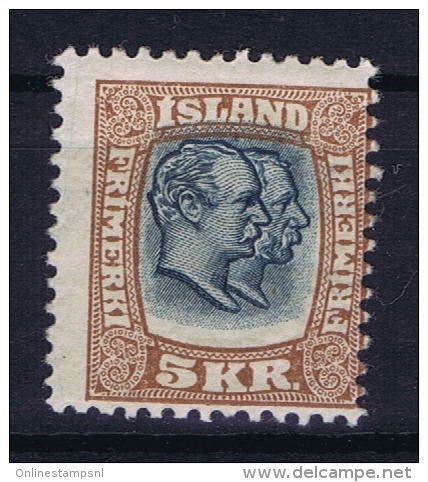 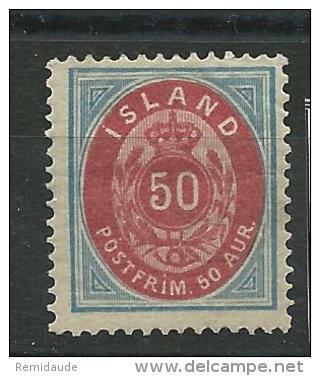 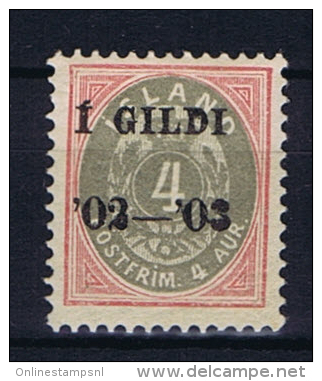 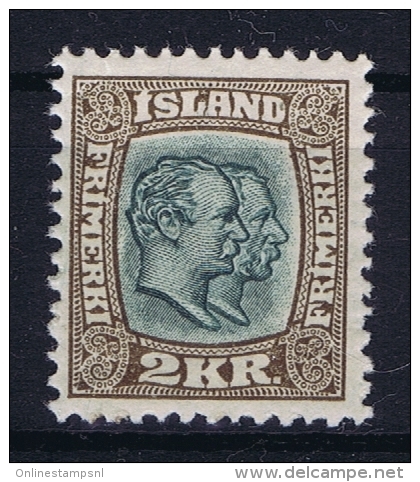 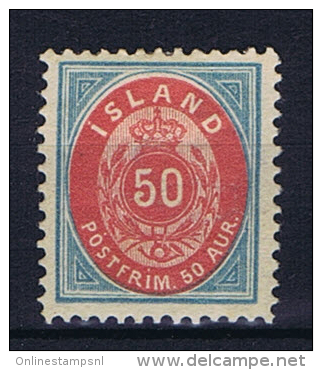 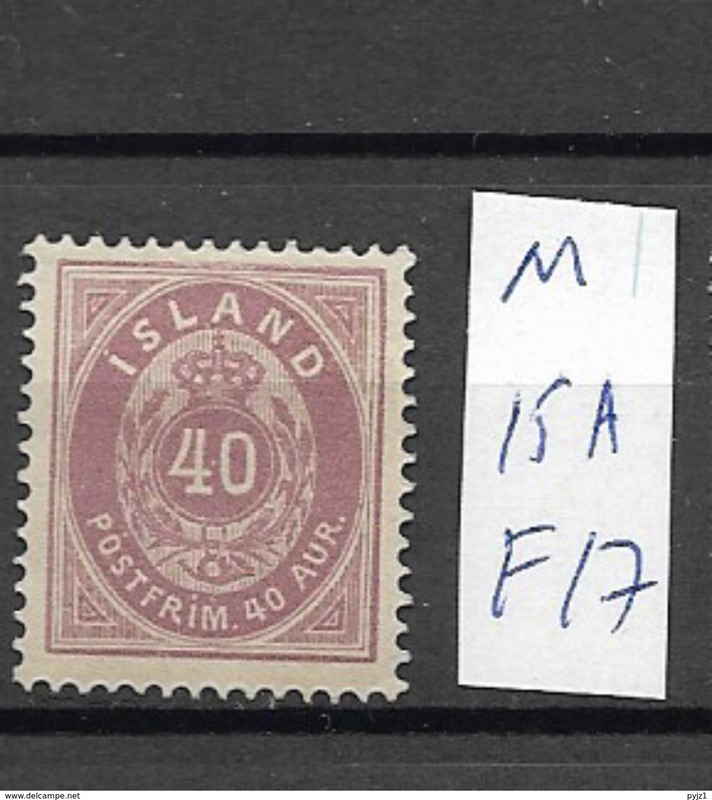 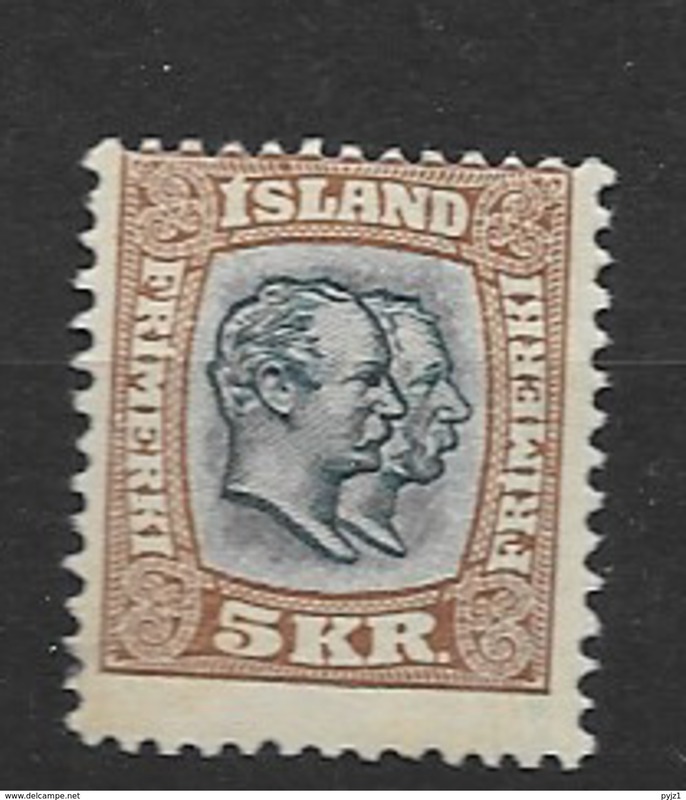 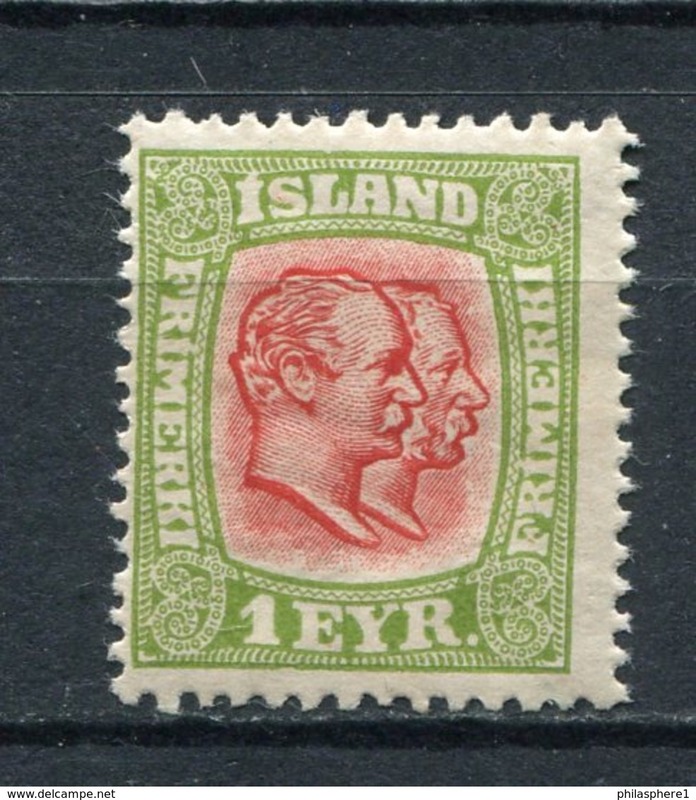 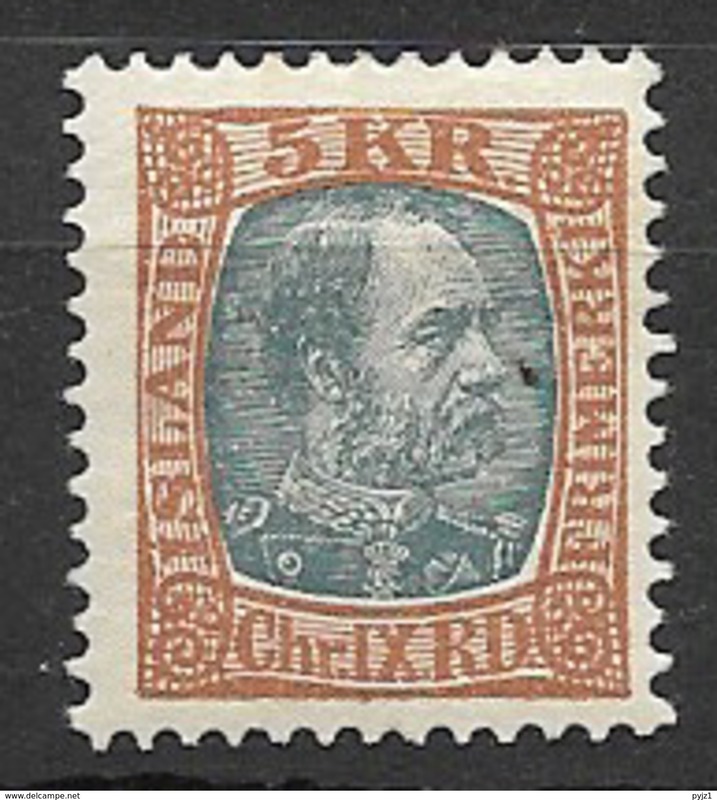 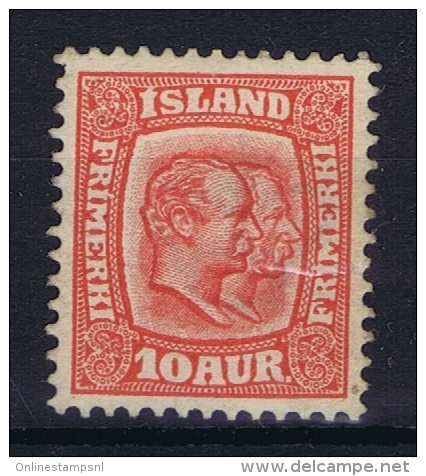 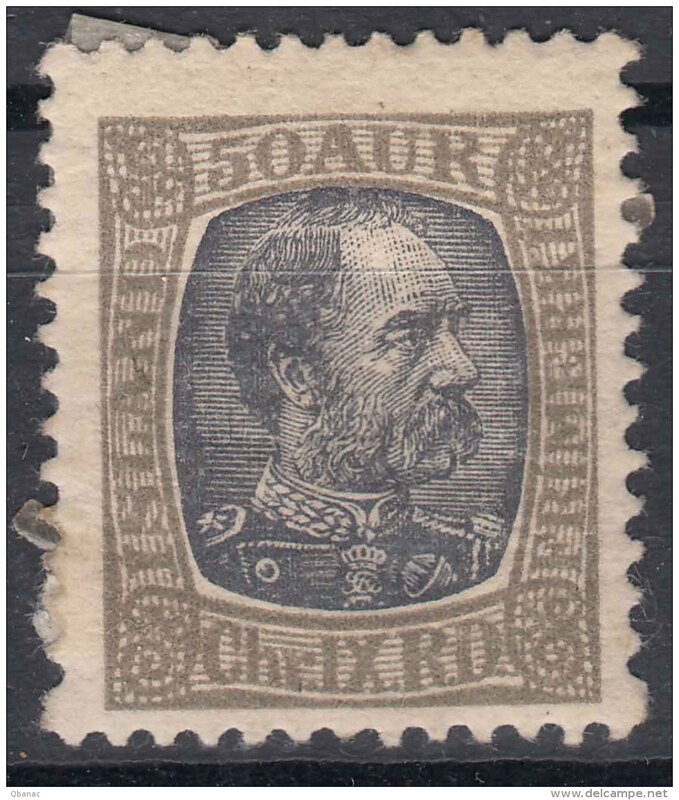 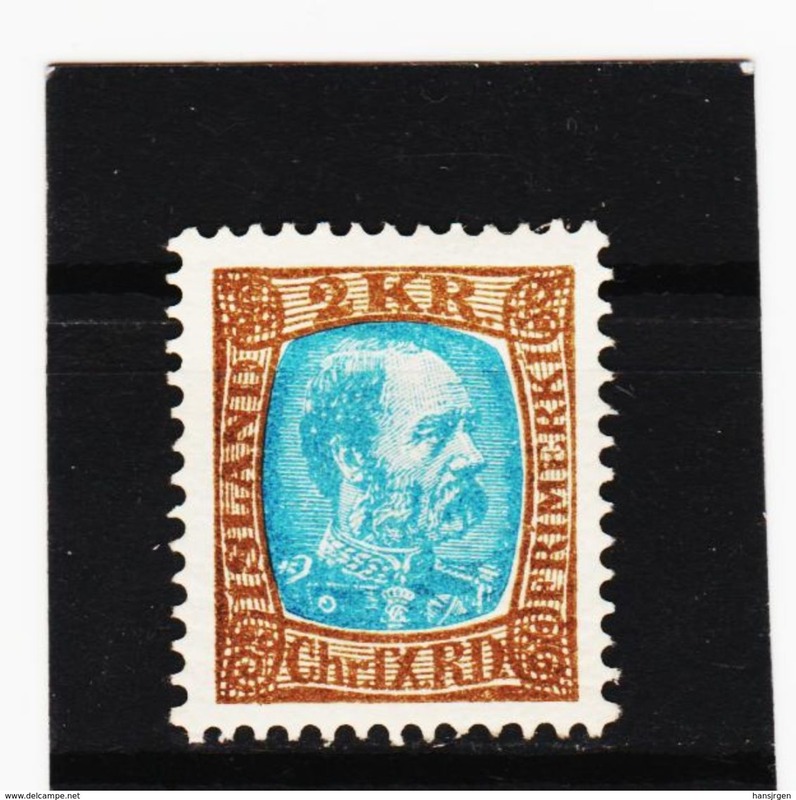 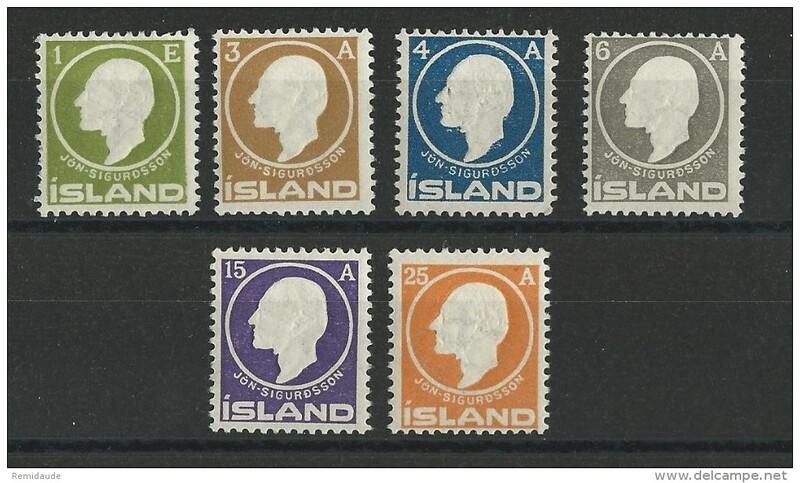 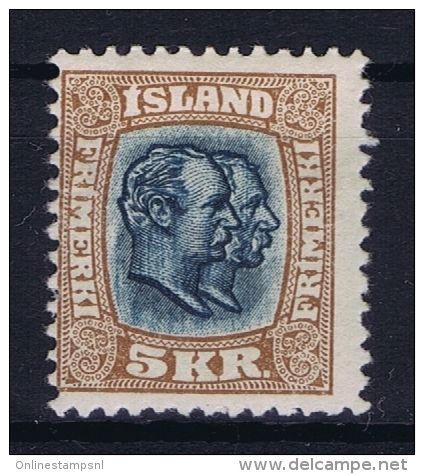 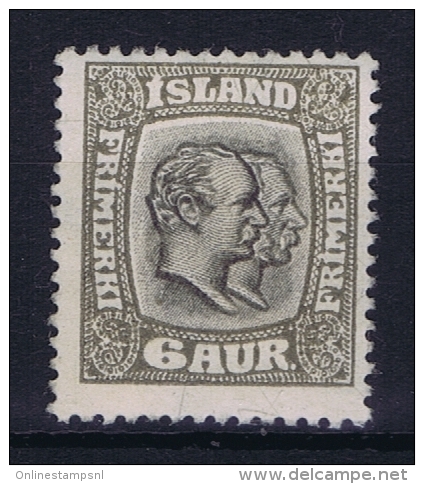 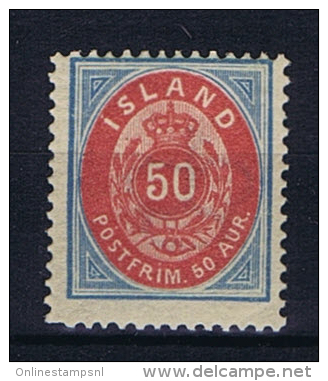 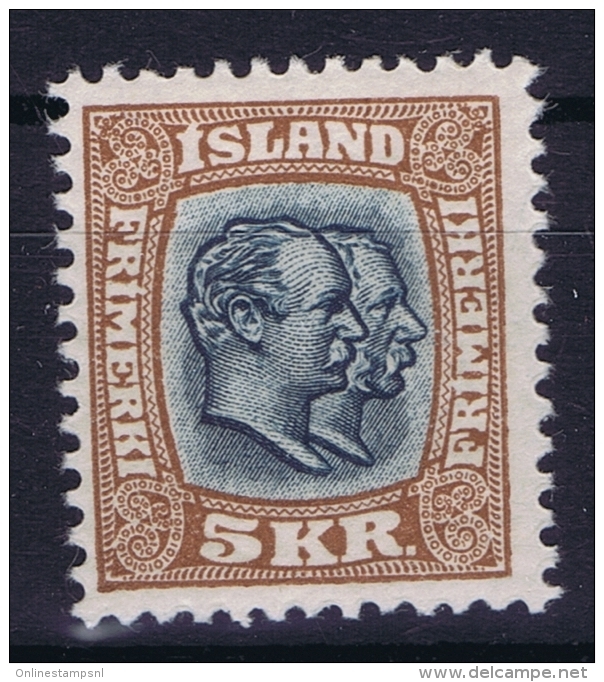 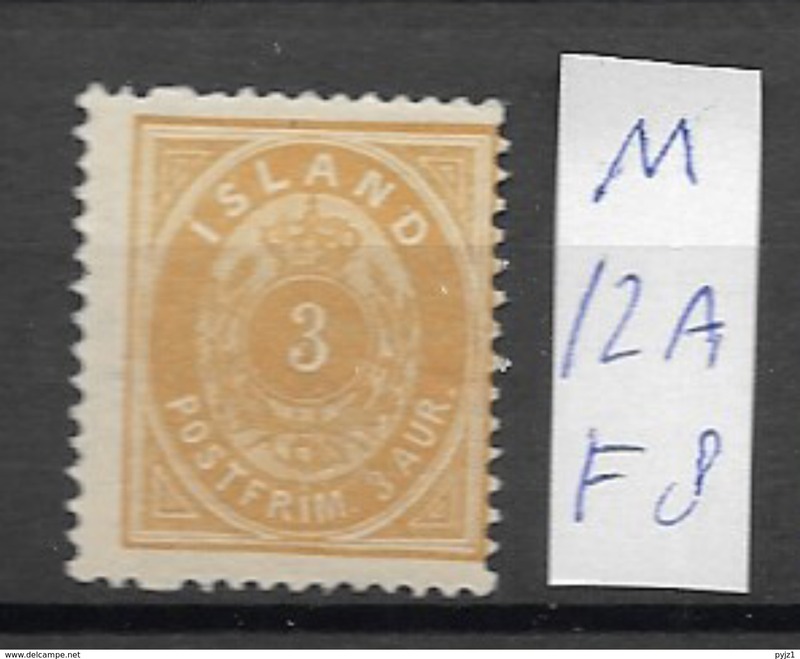 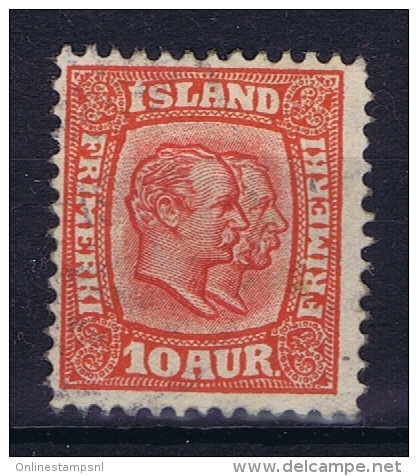 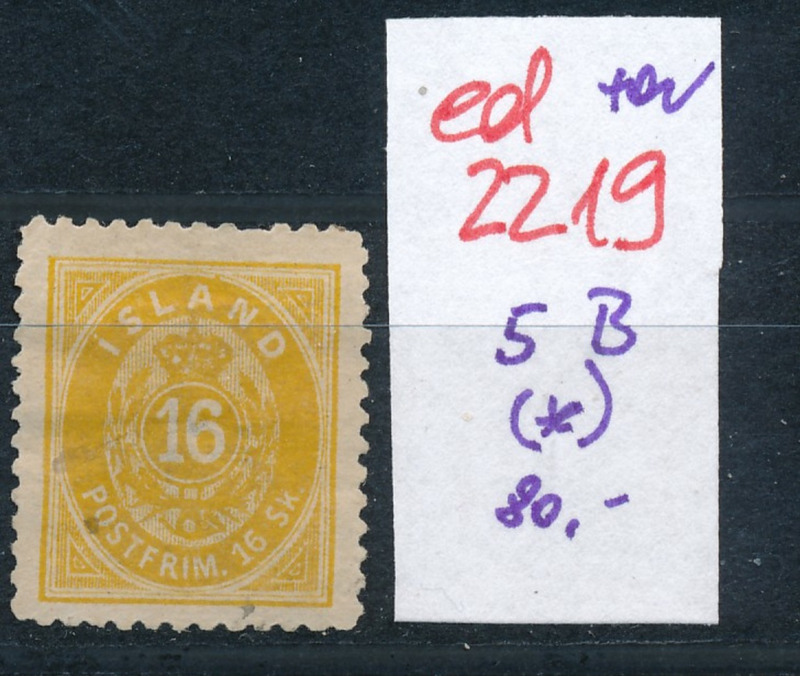 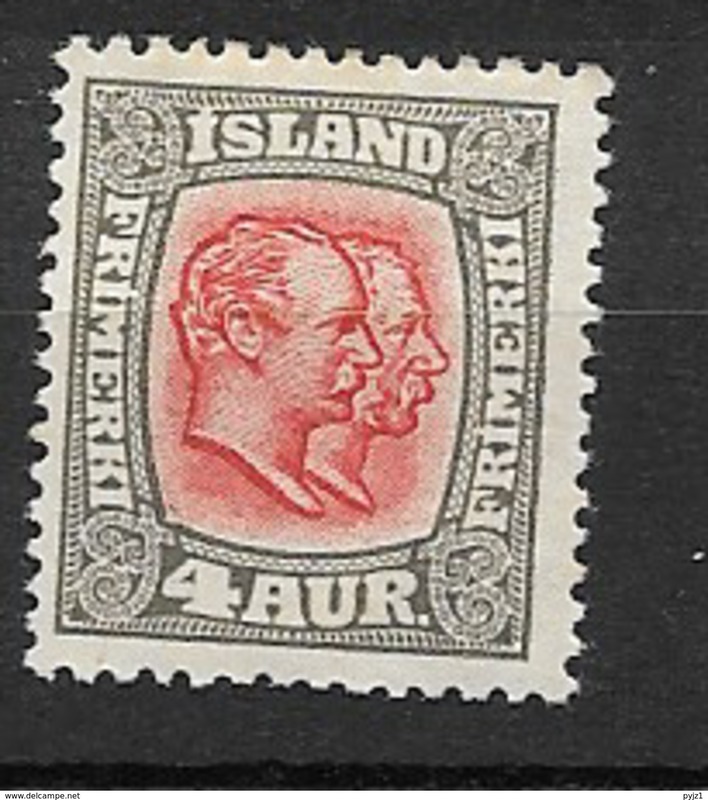 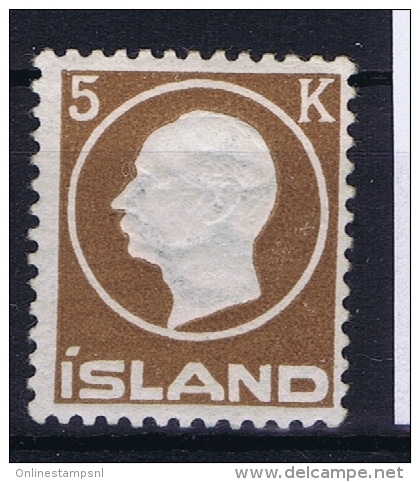 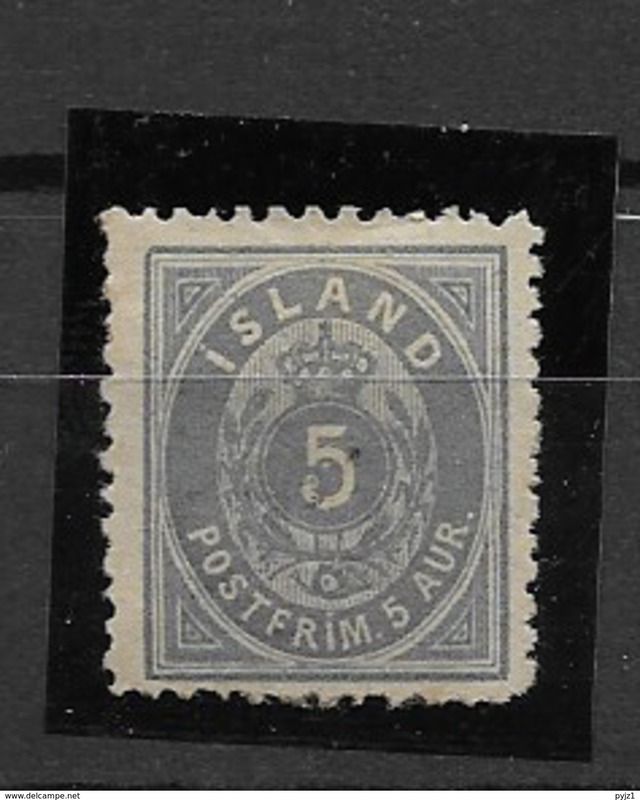 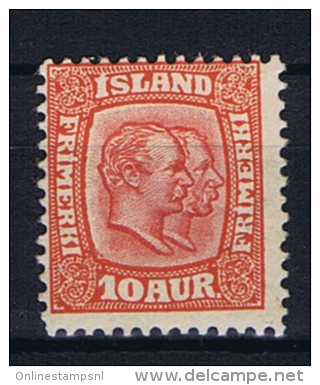 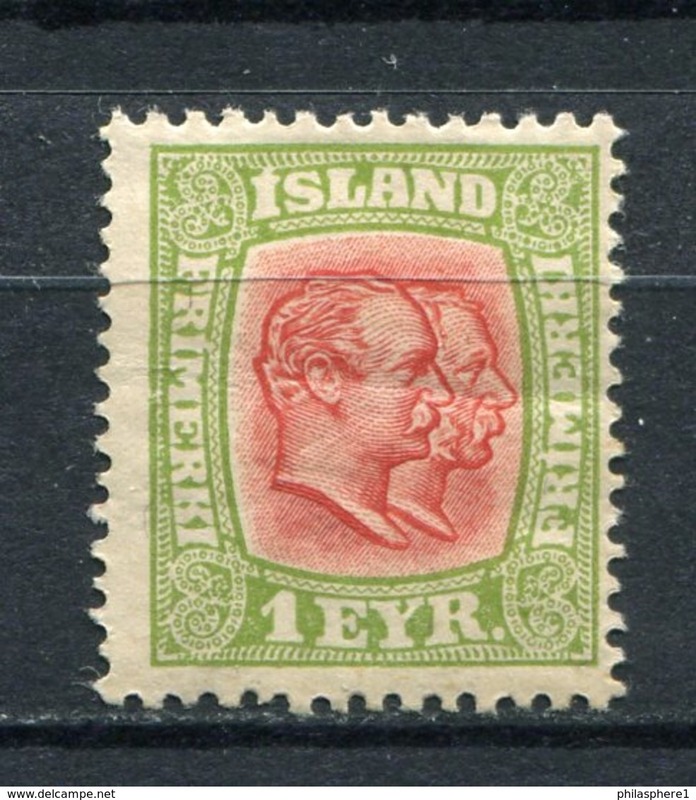 Iceland: 1907, Mi nr 48 - 62 MH/* and MNH/**, very light hinged, no paper only traces in gum. 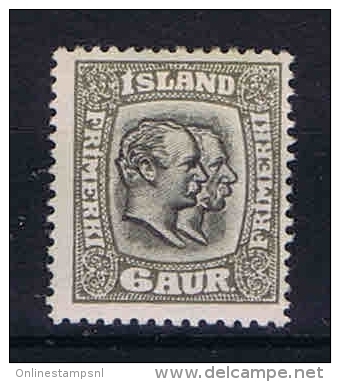 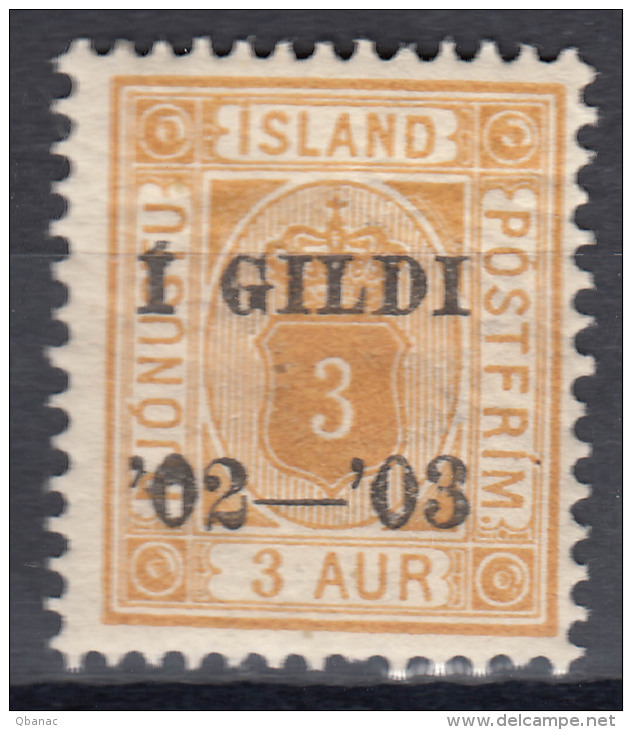 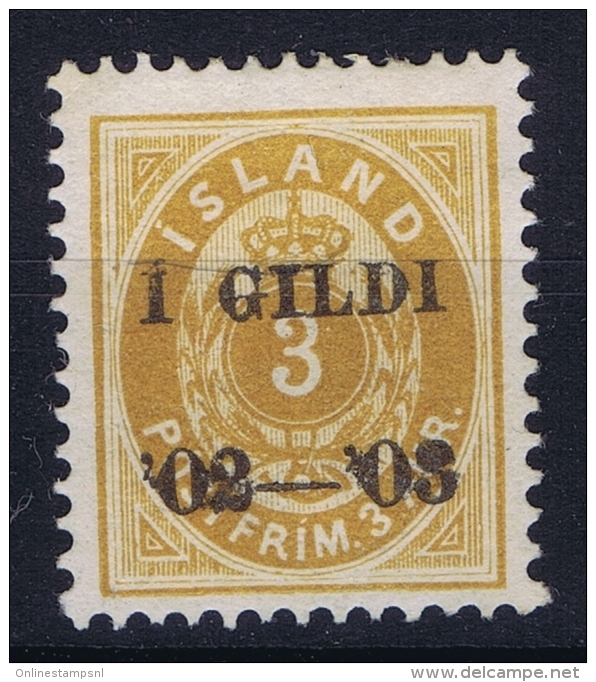 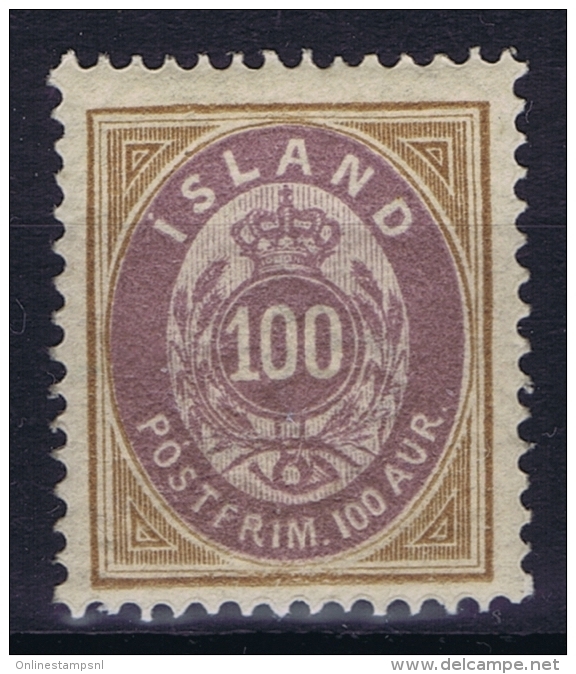 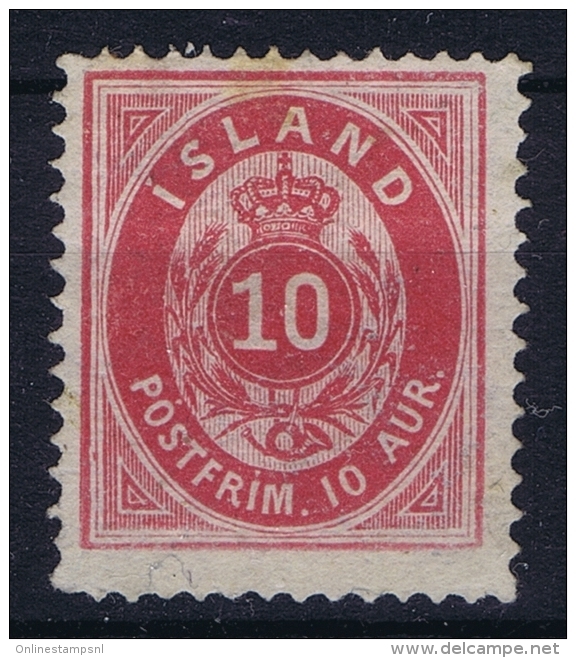 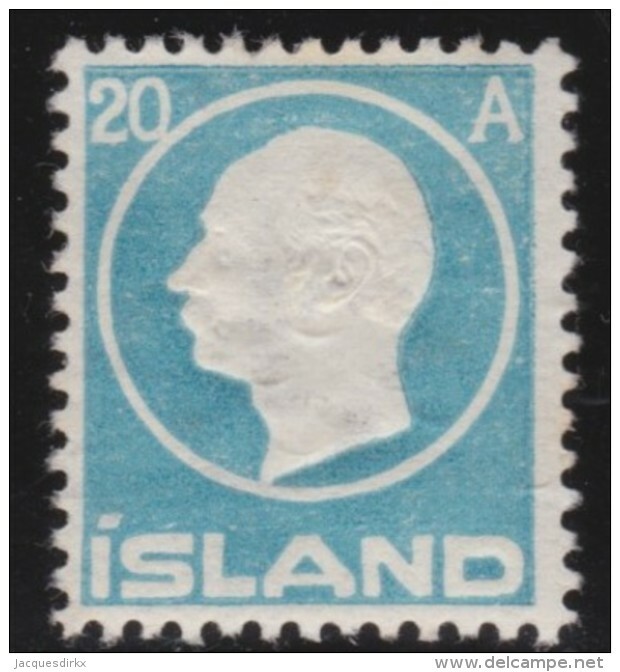 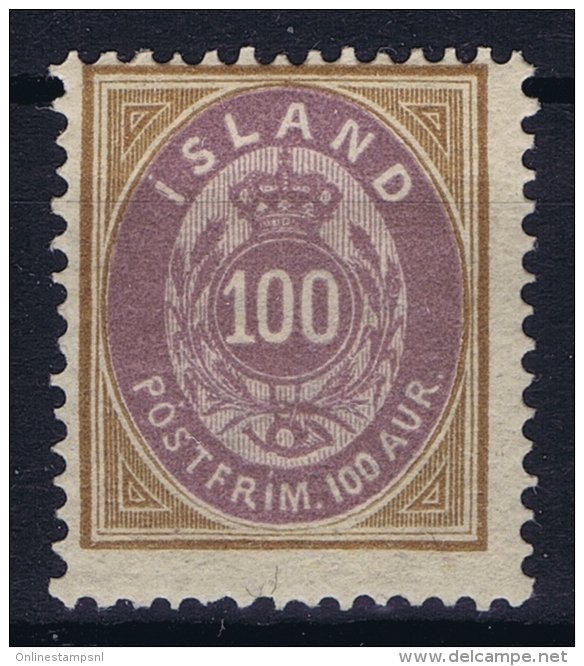 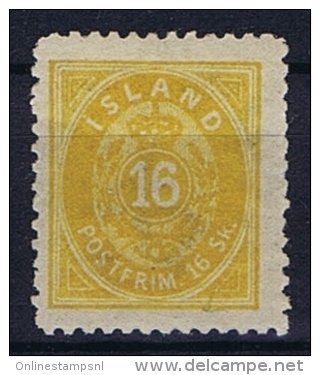 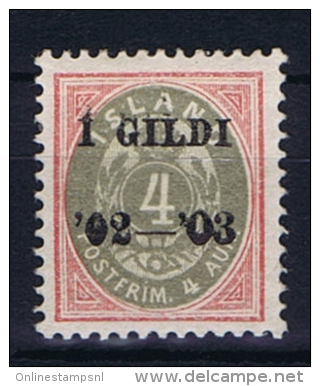 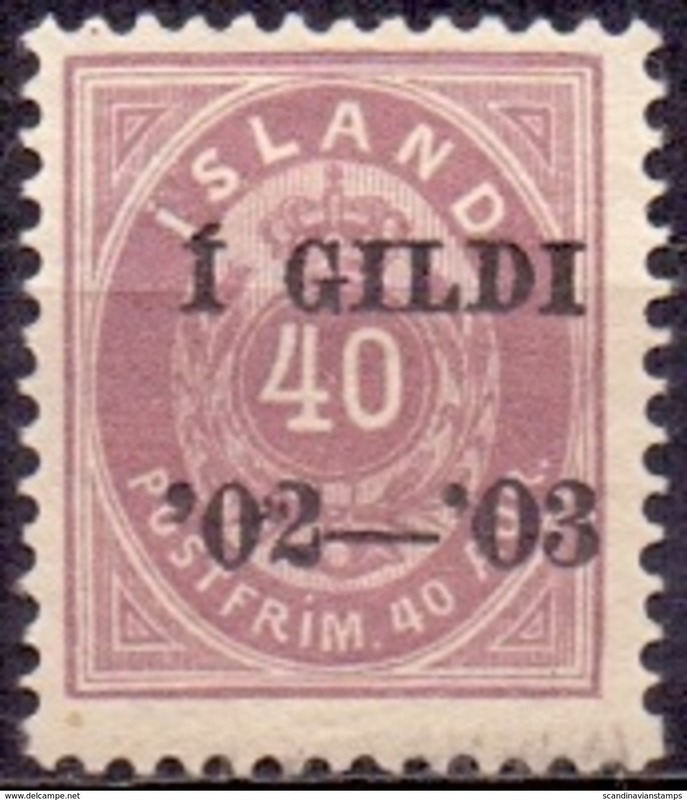 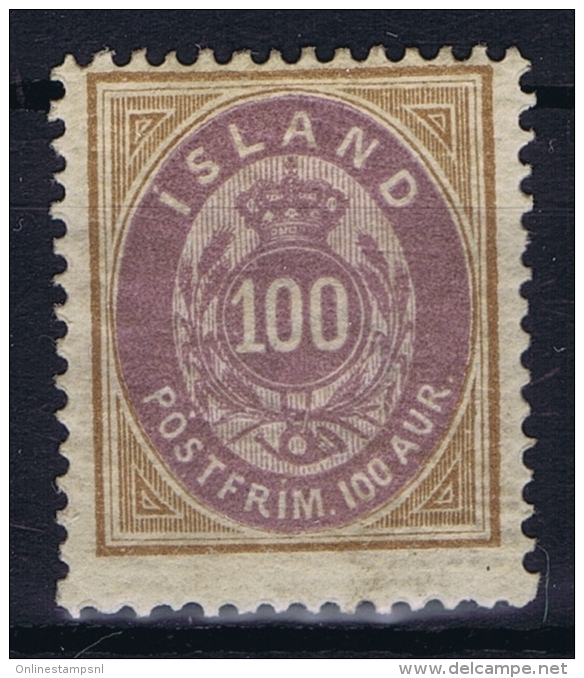 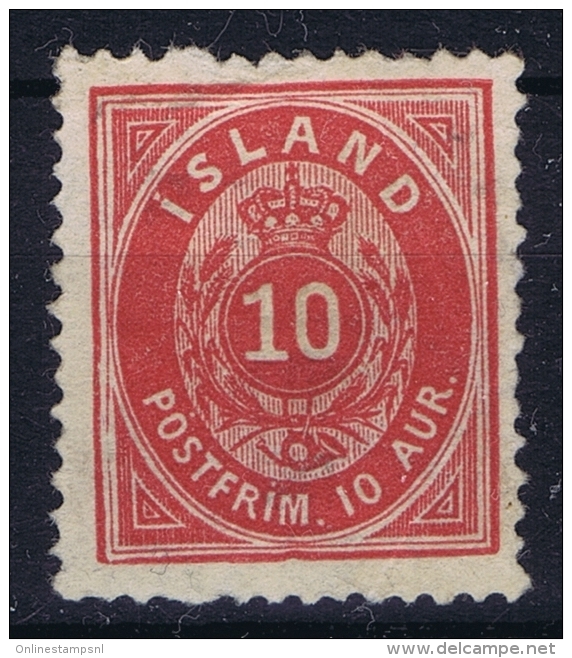 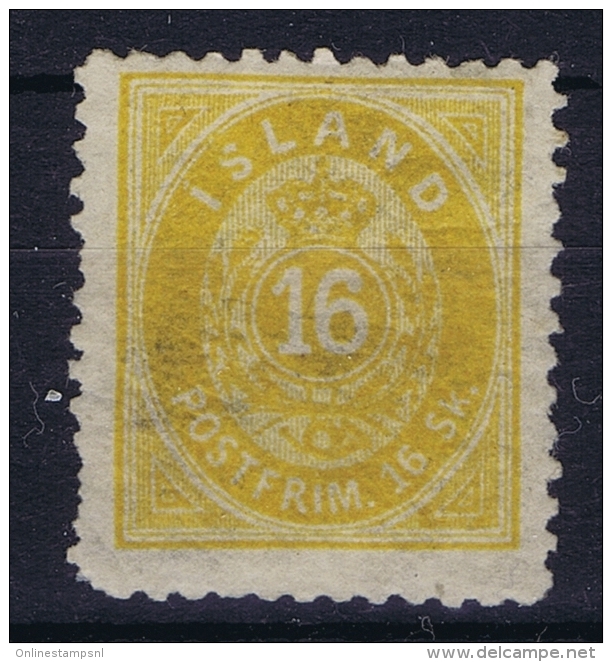 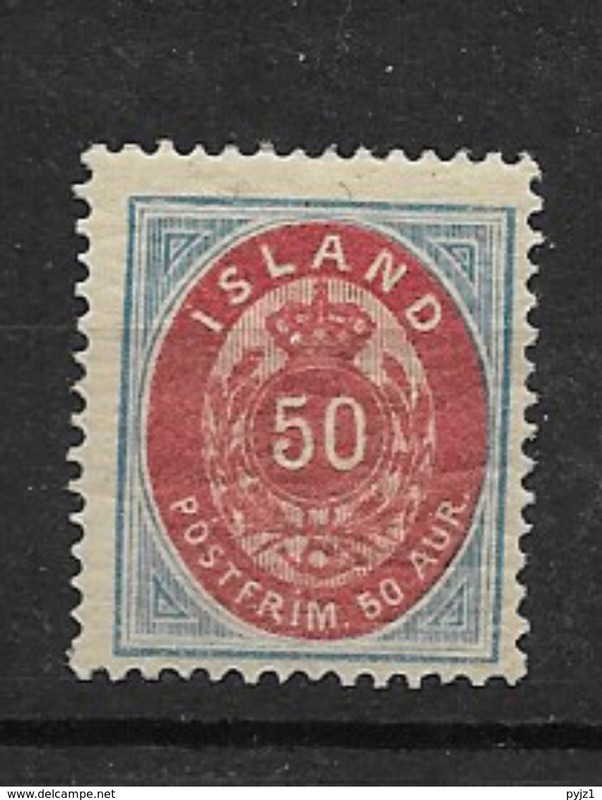 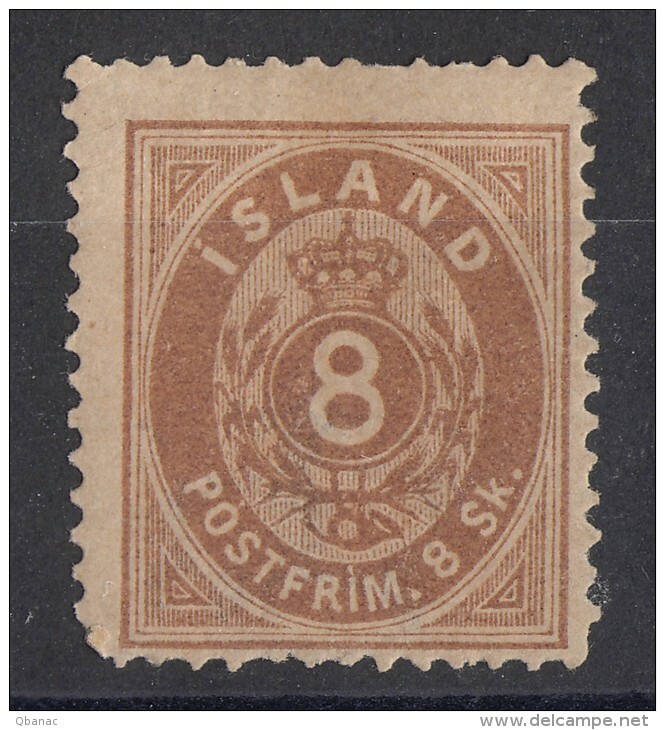 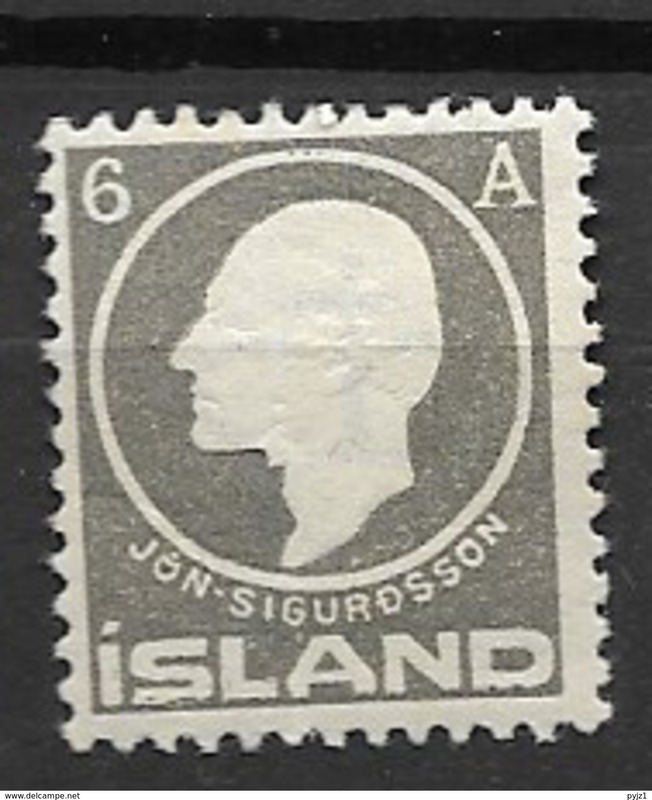 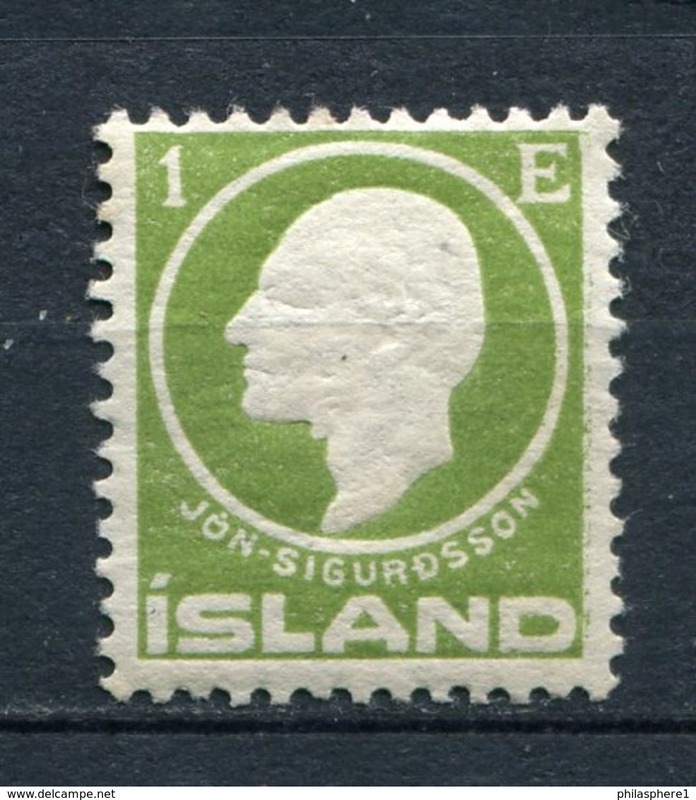 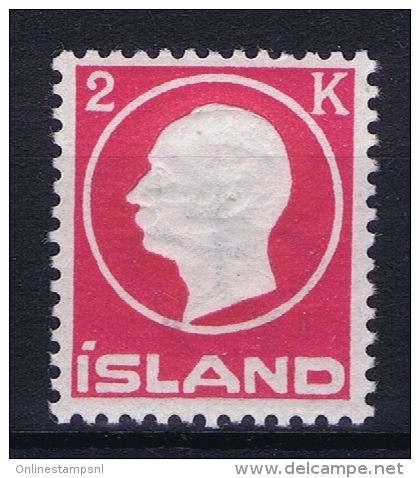 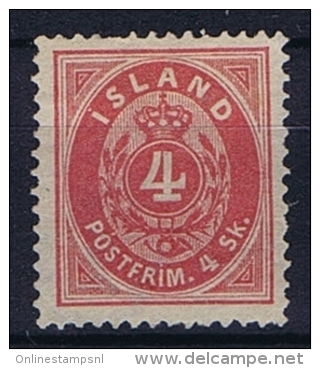 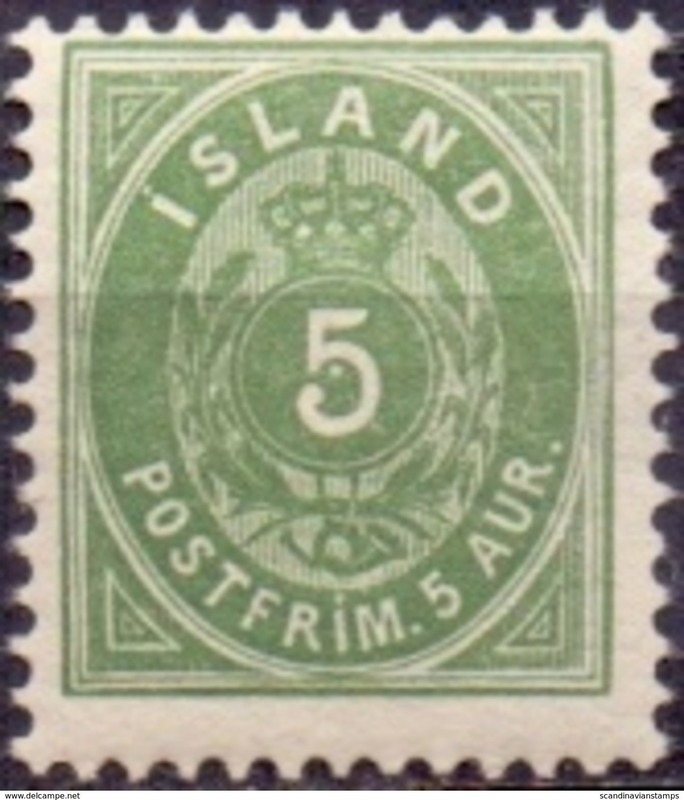 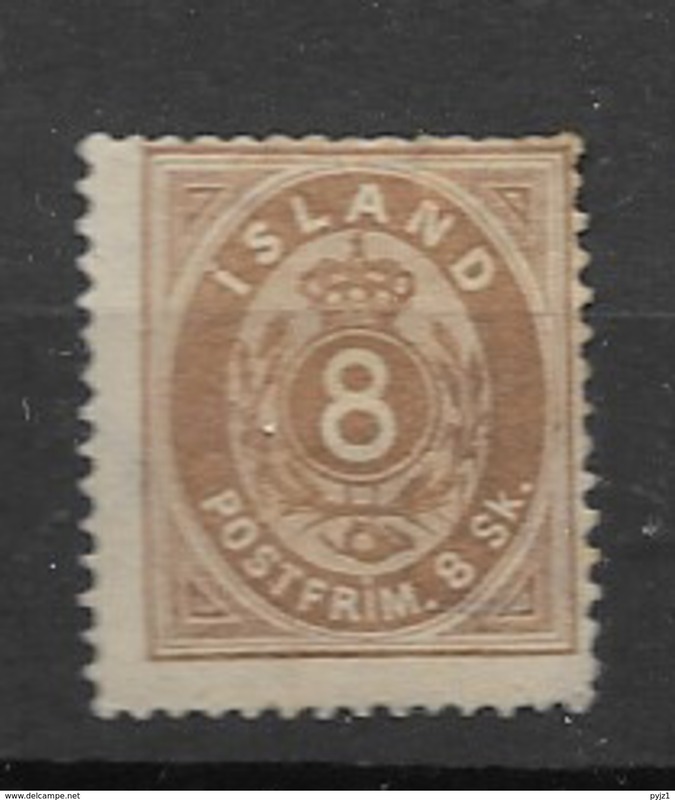 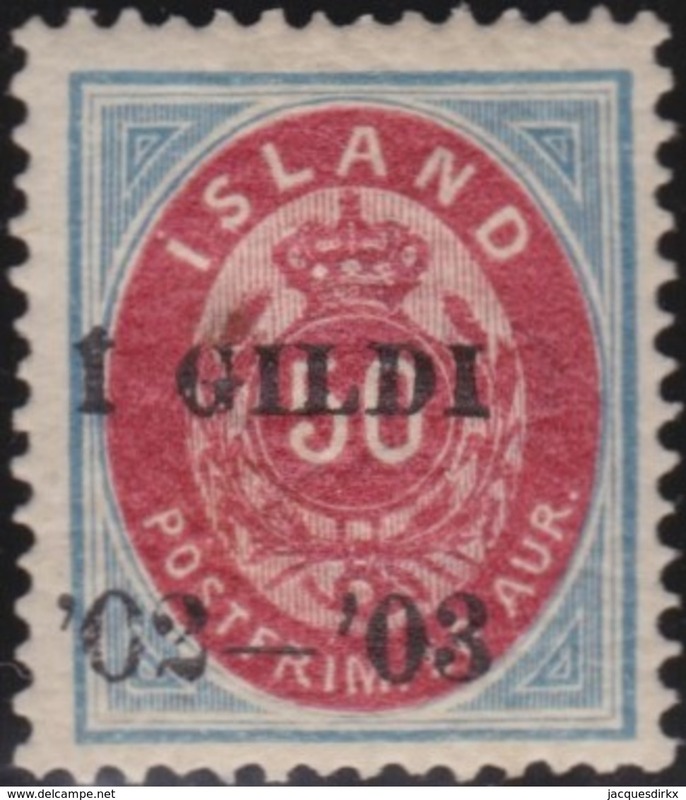 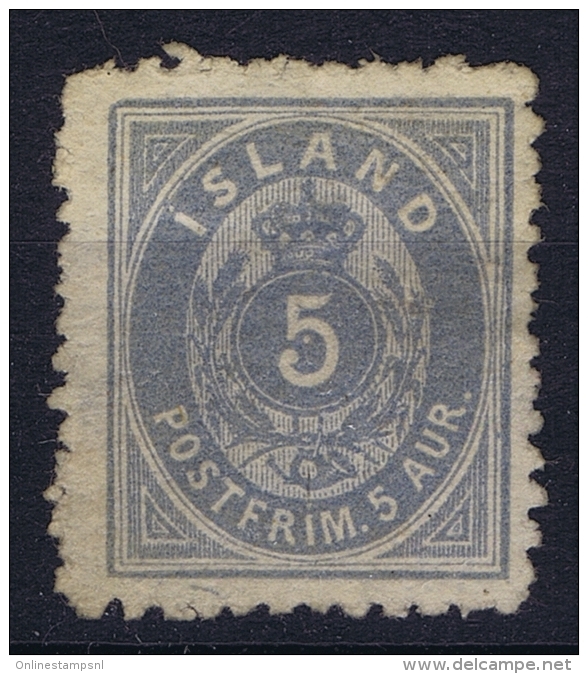 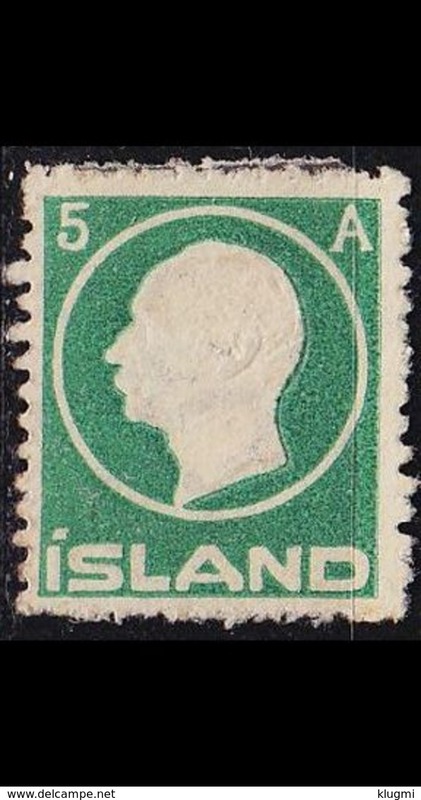 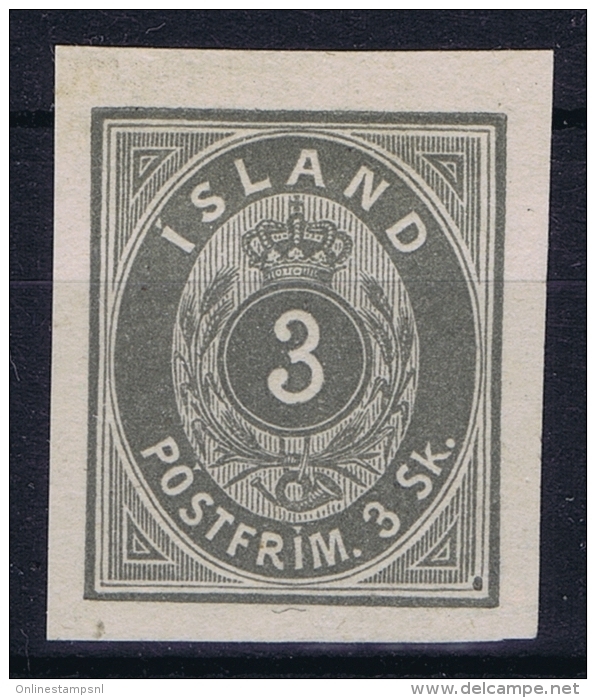 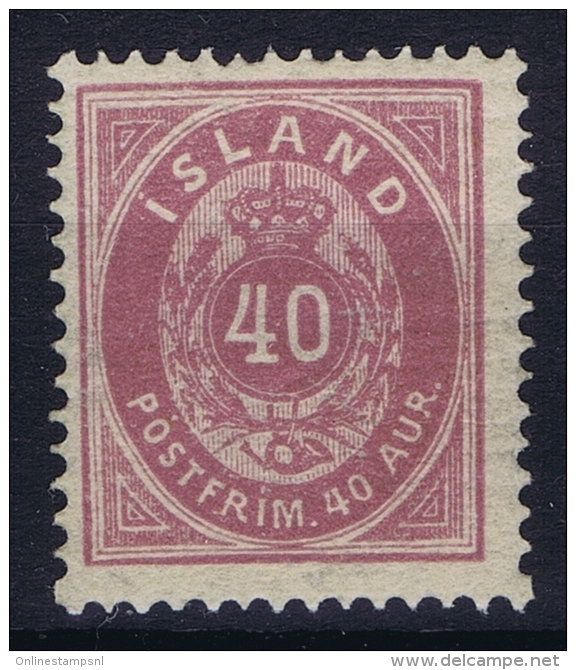 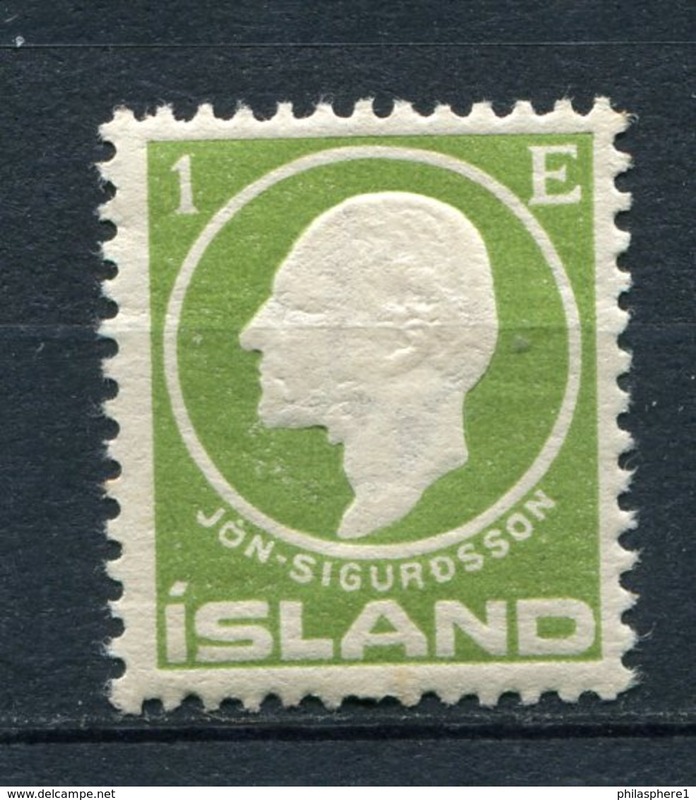 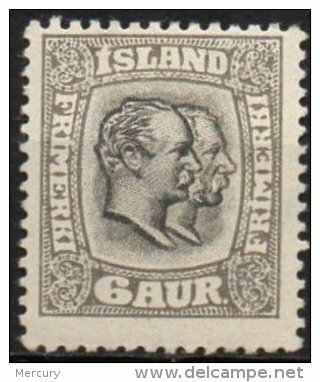 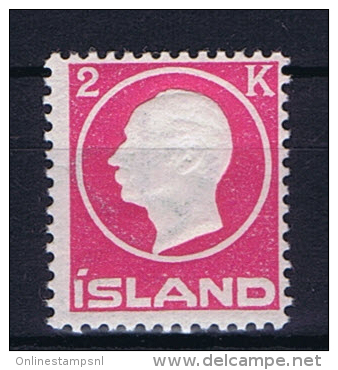 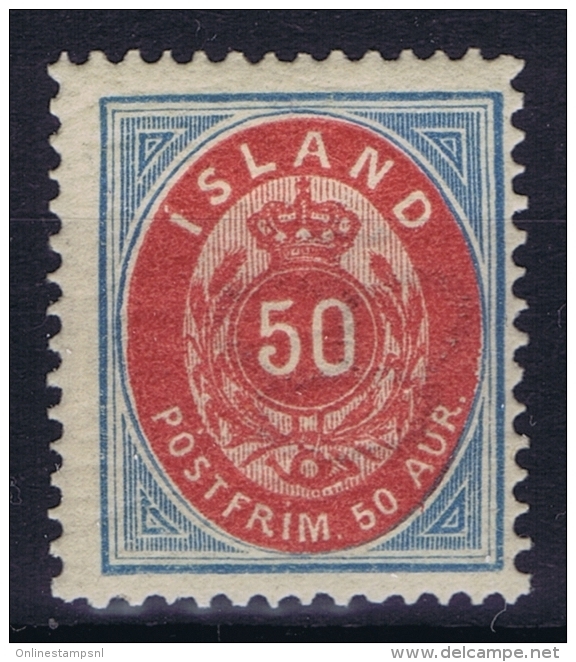 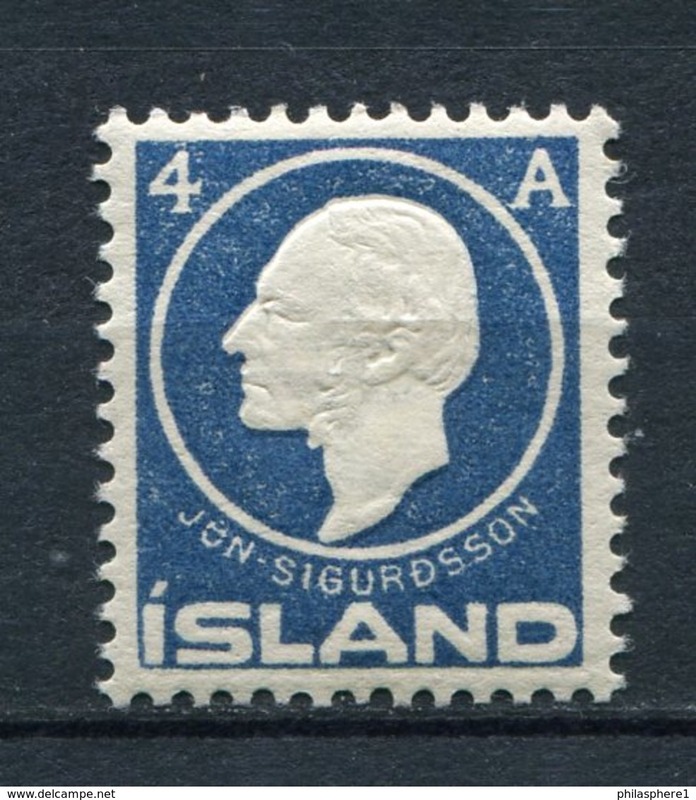 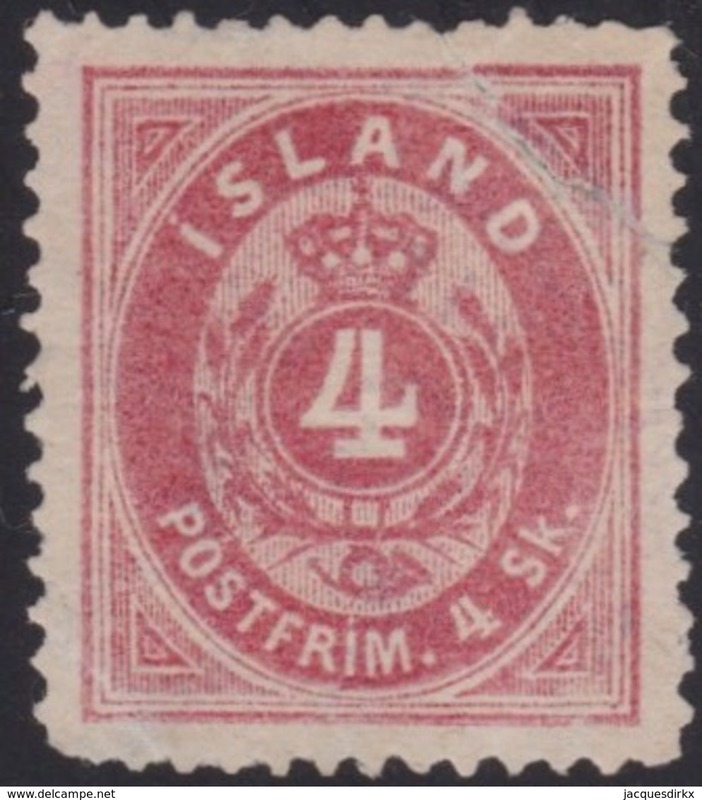 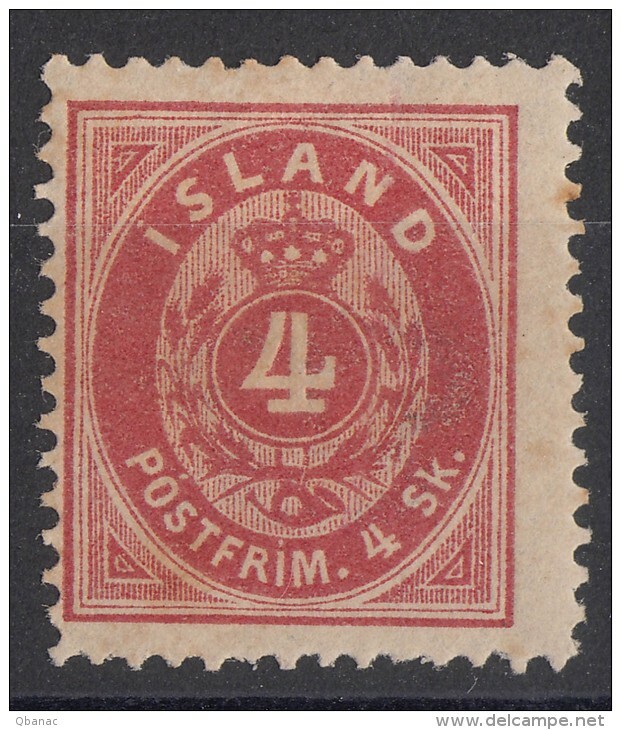 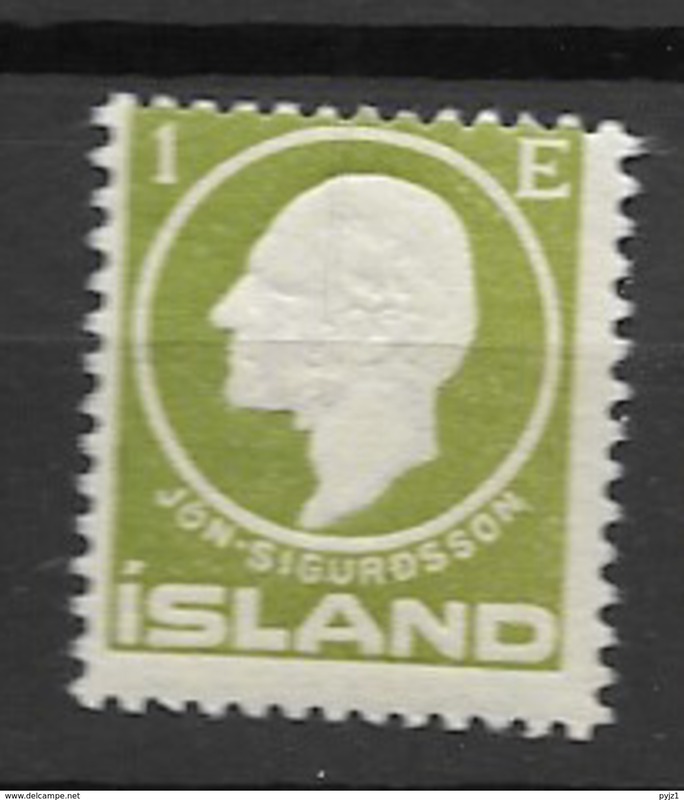 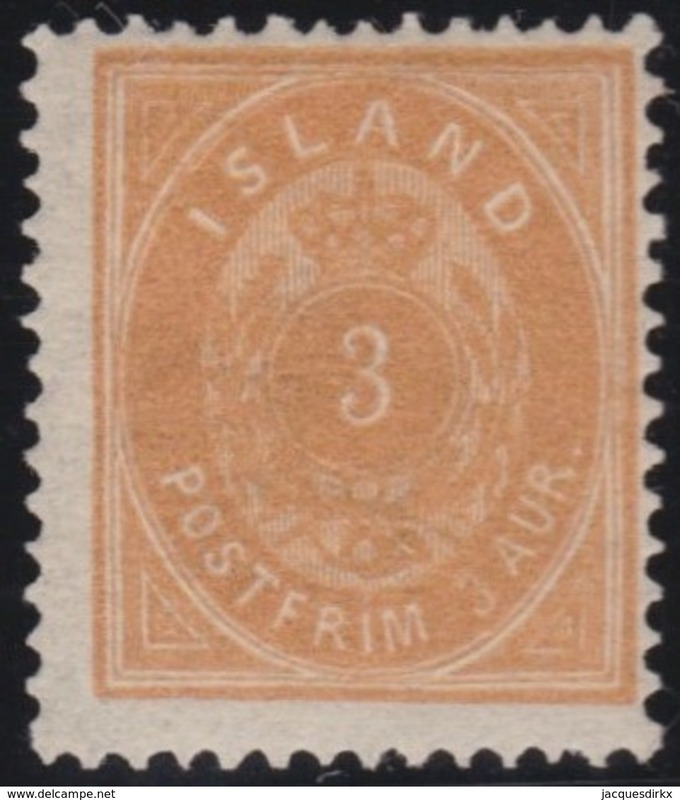 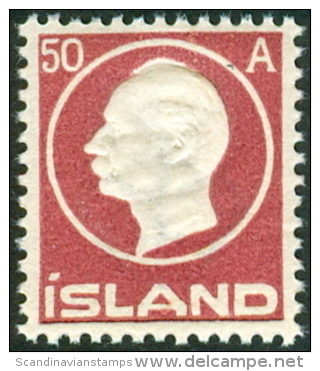 ICELAND 1897 3a. 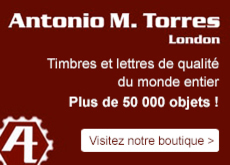 on 5a. 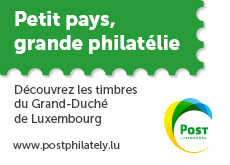 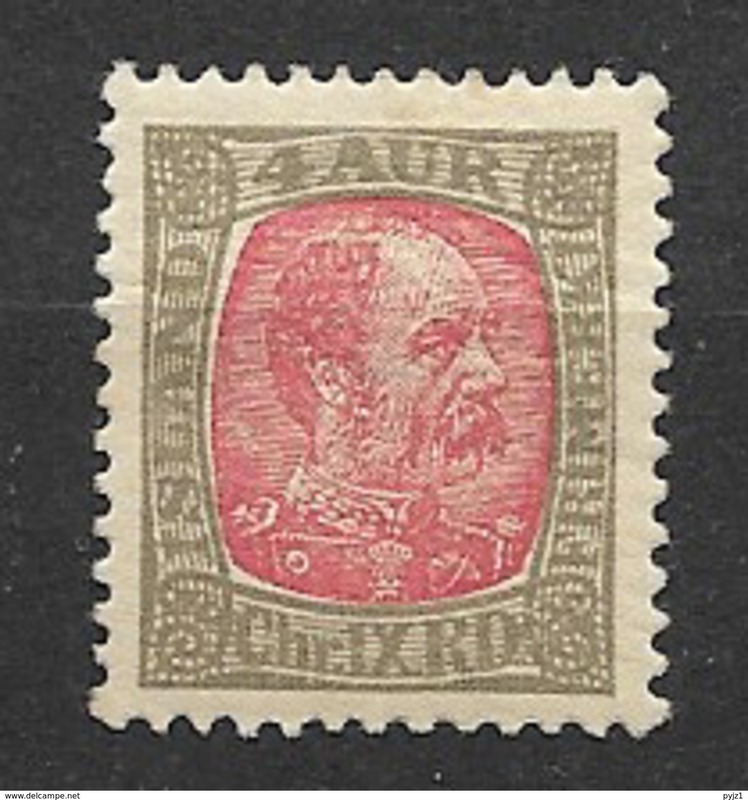 surcharge Type II word only LHM / *. 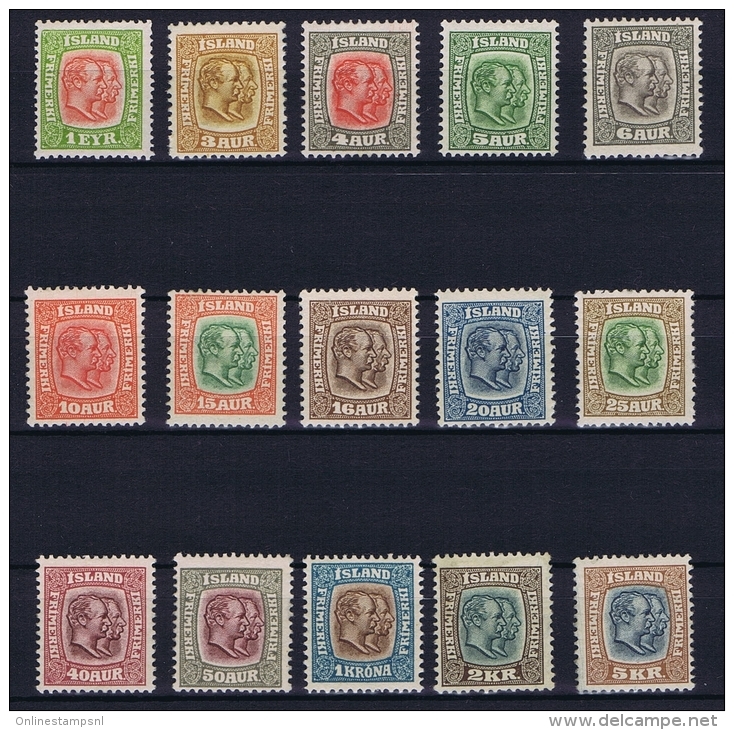 Michel 19B II, SG 41.